Quality landscapes with plenty of greenlife are critical to the future well-being of our urban environment and everyone can assist in the creation of that environment. The best gardens, streets and parklands start with a good plan. Engaging a professional landscape architect or garden designer is an excellent method by which you can bring your ideas to life. The professionals in these bodies are trained to consider fully all the aspects of landscape design such as climate, aspect, soils, drainage, environmental impact, selecting the right plants and of course, they are up to date with the latest contemporary designs. Industry bodies such as the Australian Institute of Landscape Architects (www.aila.org.au) or the Landscape Industry Association of Victoria (www.liav.com.au) are an excellent place to start seeking out such professional advice. For the total do-it-yourselfer, magazines, television and radio, public shows and your local nursery are a great source of ideas and inspiration. 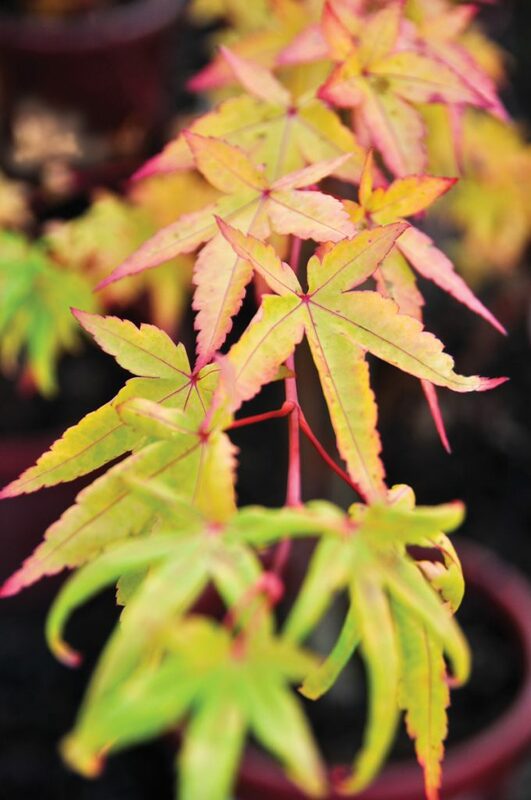 It’s important to select the right plant for the right position and your local garden centre is an ideal place to seek advice on what will be suitable for your garden. They also stock a huge range of products such as pavers, pots, mulches and sculptures to help create a stunning landscape or your own quiet hideaway. Websites such as those published by the nursery and garden industry www.ngiv.com.au or www.lifeisagarden.com.au are full of comprehensive information on all aspects of gardens and gardening. We need to plan our landscapes so we and future generations can enjoy a quality way of life in communities that combine sustainability, workability and positive benefits for all. Greenery and natural surroundings are a proven, positive life enhancer. Patients exposed to views of nature require less medication, are less stressed and are happier in their outlook, leading to better health overall. Experiencing nature can improve children’s behaviour and reduce symptoms of ADD. Children play more creatively in a natural environment and parents are more likely to join in playing with children. Trees reduce exposure to ultraviolet light, lessening the risk of associated health problems such as skin cancers and cataracts. Green surroundings reduce mental tiredness while enhancing concentration and attention, leading to an improved ability to cope and make positive decisions. Two trees are needed to supply the oxygen needs of each person. A typical person consumes about 175 kilograms of oxygen a year. A healthy 10.5 metre tree can produce about 118 kilograms of oxygen a year. The proximity of trees to dwellings has an effect on residents’ use of outdoor space - the closer the trees, the higher the usage. Many more people are involved in social activities in green environs than in areas that have few or no trees and shrubs. Gardens and other plantings contribute to residents feeling safer, more supported and satisfied with their surroundings. Green spaces bring residents together more often, promoting chance meetings and encounters. Residents get to know one another, producing stronger, more cohesive neighbourhoods. Areas with higher levels of planting experience lower levels of crime. Tree lined streets are perceived as narrower, resulting in reduced speeds. Trees along streets provide a buffer between pedestrians and vehicles. Surveys of landscaped and non-landscaped community areas have shown that the incidence of crime, vandalism and graffiti is many times lower in areas planted out with greenery. A garden adds to the aesthetic appeal of your home and neighbourhood, AND it adds REAL MONETARY VALUE to your home. Roads with good tree canopy cover are protected from the sun and last longer. This saves us all money! Consuming less fossil fuels to heat and cool our homes minimises the impact on our environment. The value of property can be up to 20% higher in areas planted with trees when compared with similar areas that have few trees. A well planned landscape can reduce your heating and cooling costs by up to 20%. Plantings around buildings are a proven method of reducing the demand for artificial heating and cooling with a resultant, and important, lower use of fossil fuels. Haven’t we all driven around looking for that shady spot to park on a hot summer day! Trees and other plantings can reduce asphalt temperatures of carparks by as much as 13°C, and cabin temperatures by 17°C. 500 trees are required to absorb the 5 tonnes of greenhouse gas emitted by a 4 cylinder car driven 20,000 kilometres. 30 to 40 mature trees are required to store the carbon produced by one person. Tree canopy on private land is declining at a rate of 5% per year. Trees and shrubs absorb polluting chemicals such as nitrous oxide and ozone through their leaves, while releasing oxygen through photosynthesis.